The National Archives of Ireland (NAI) has added the Finance Compensation files for County Dublin to its catalogue. Those for Dublin City and Cork City were already available, along with 19 other counties, as below. These files relate to claims for compensation for loss of or damage to property that occurred as a result of military action between July 1921 and March 1923. Claims were made under the Damage to Property (Compensation) Act, 1923. To view the lists of files for each county, just click on the links below (if you experience any difficulties, use the links on this NAI page). 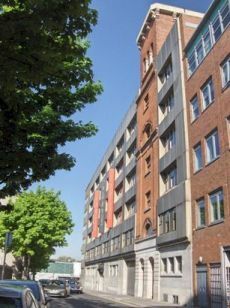 Images of the files are not available and the files can be inspected in the NAI's Reading Room in Bishop Street, Dublin 8. Seven counties remain uncatalogued: Cavan, Galway, Kildare, Offaly, Roscommon, Wexford and Waterford. These will be listed as they are completed. In total, the collection includes an estimated 20,000 files, and the listing work has been funded by the Department of Arts, Heritage and the Gaeltacht.